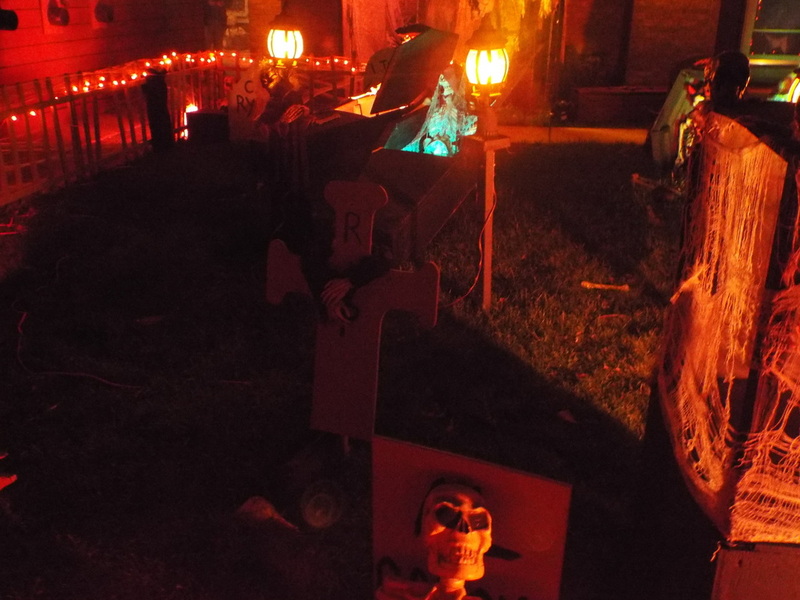 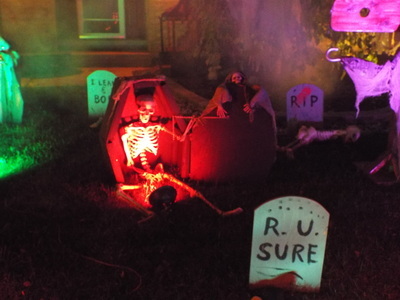 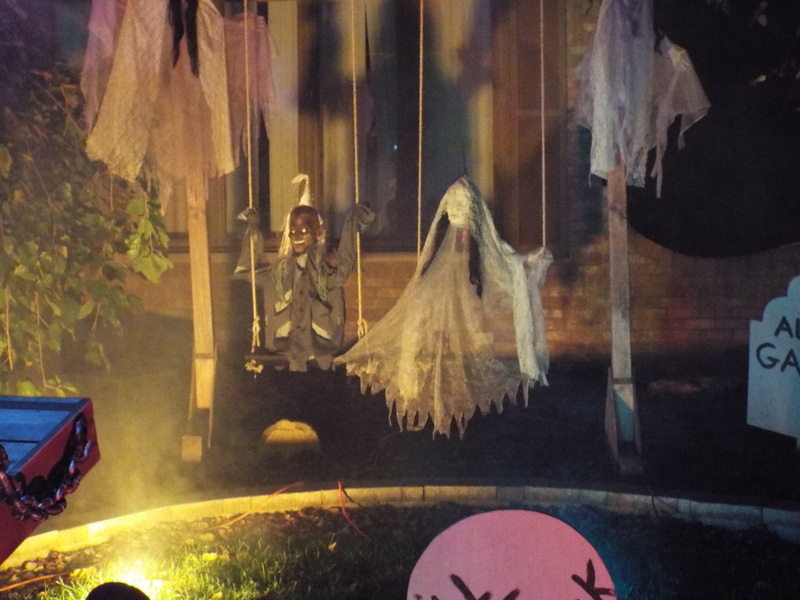 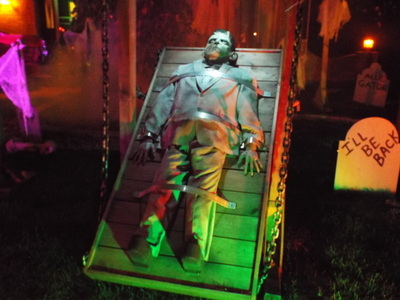 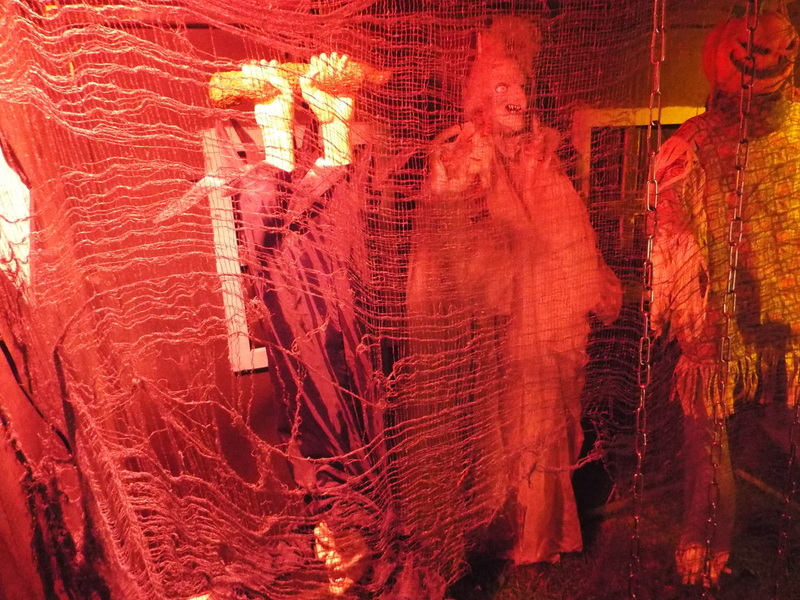 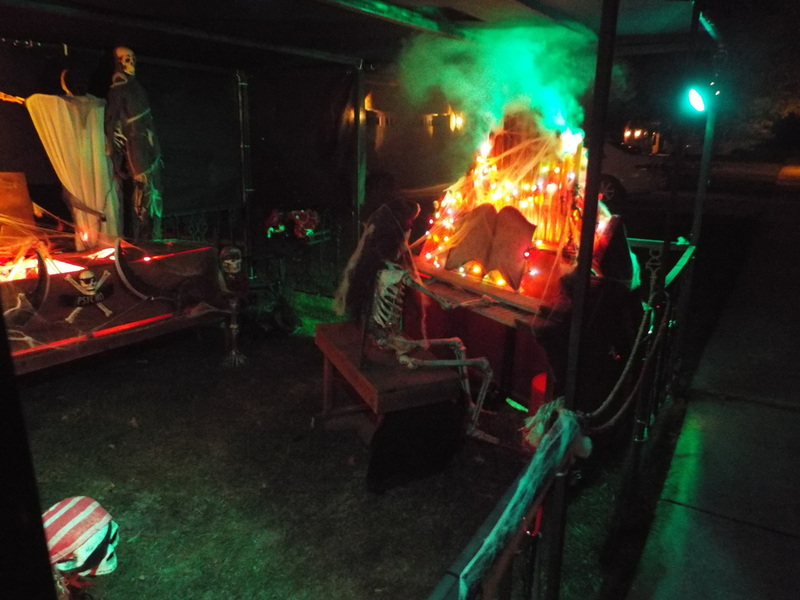 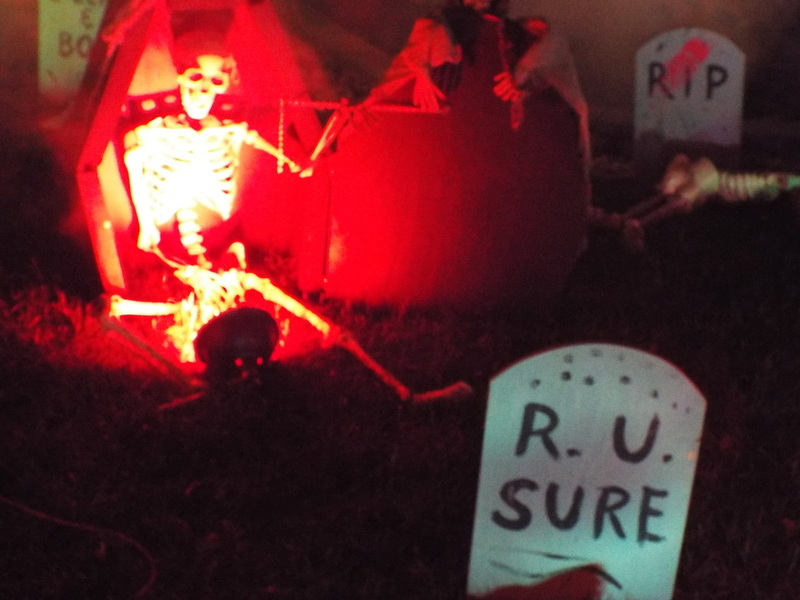 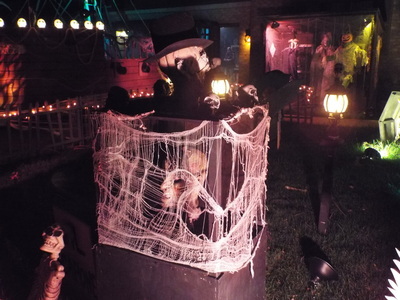 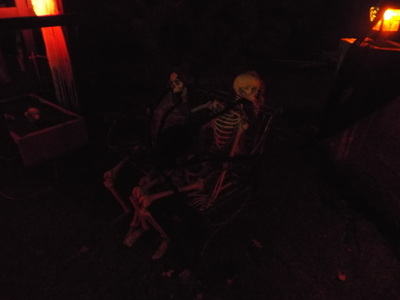 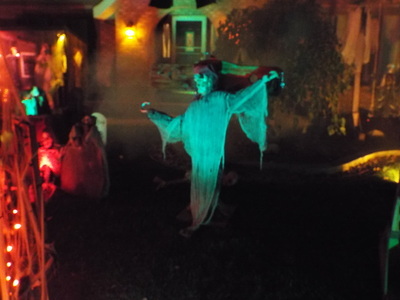 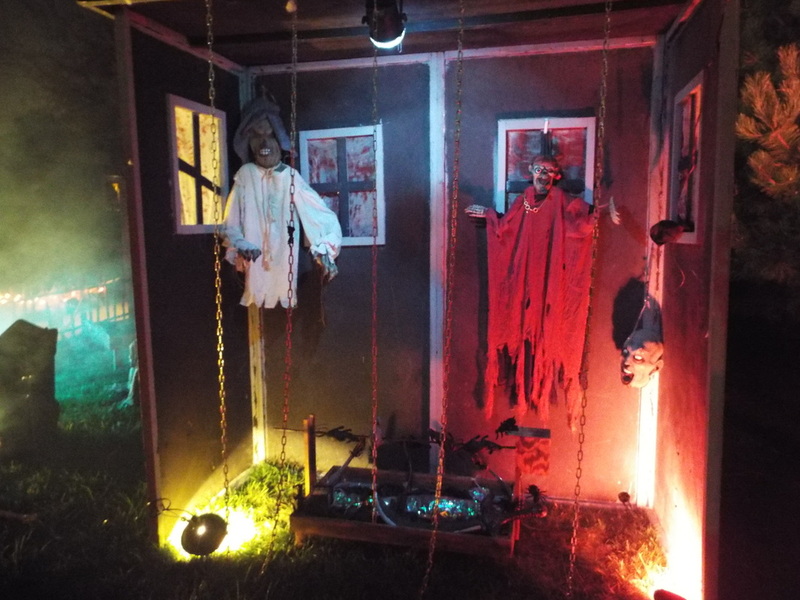 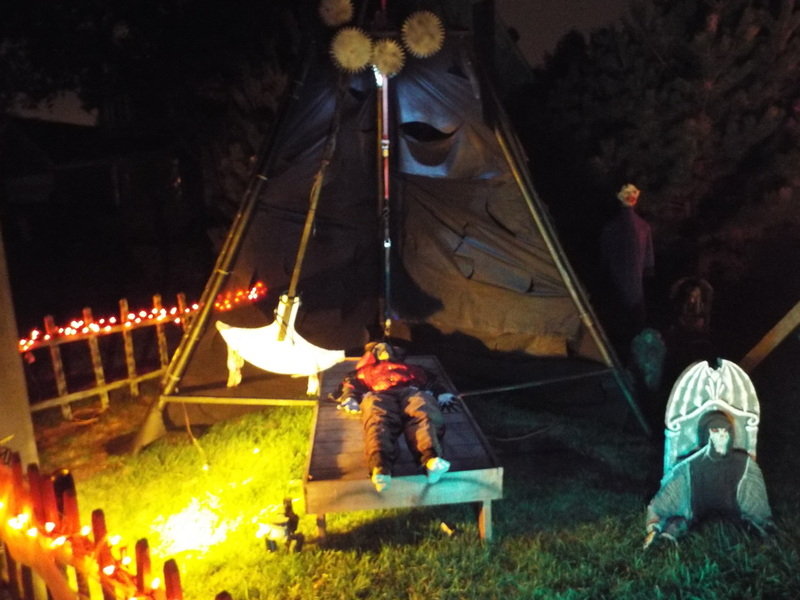 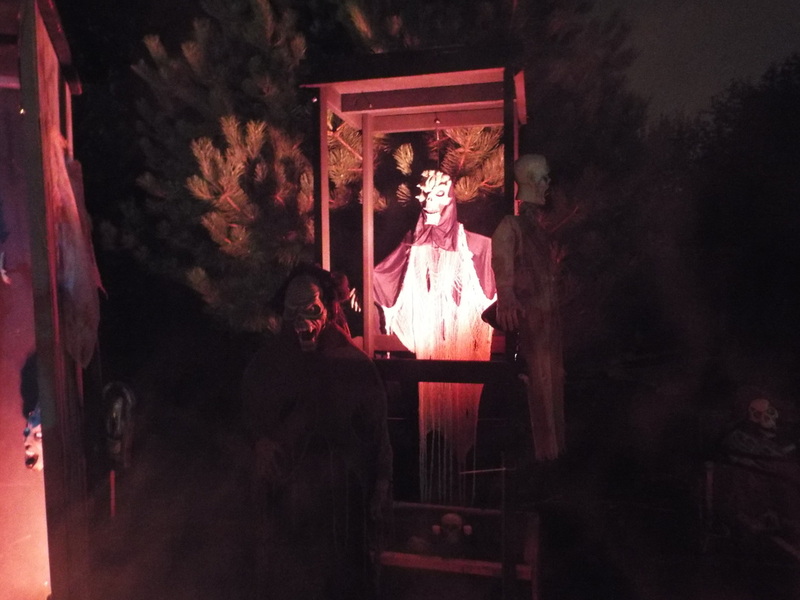 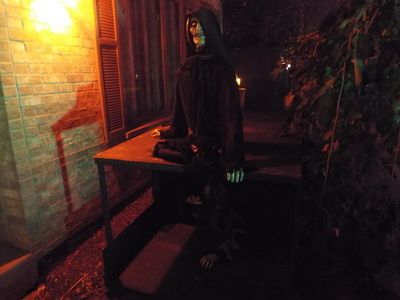 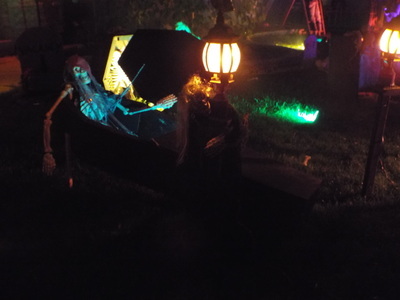 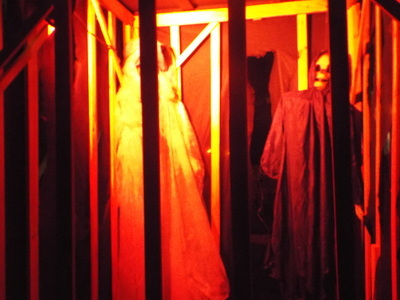 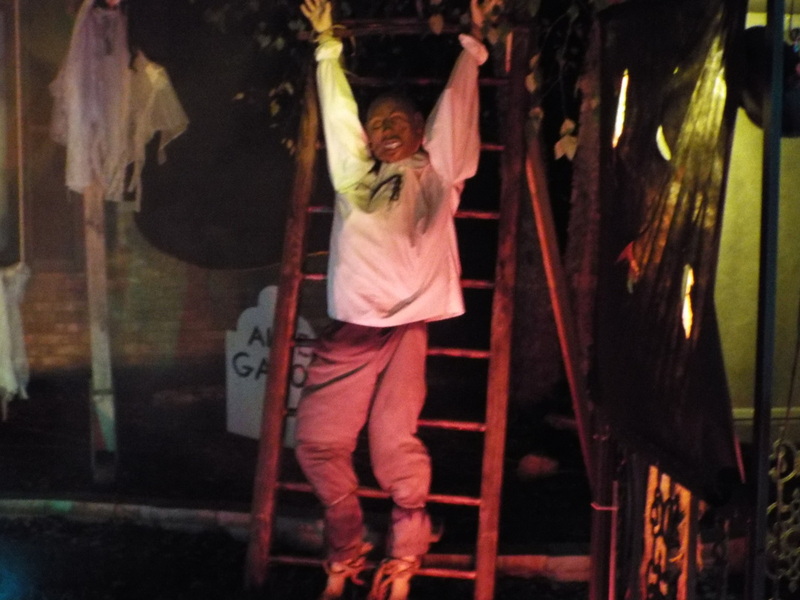 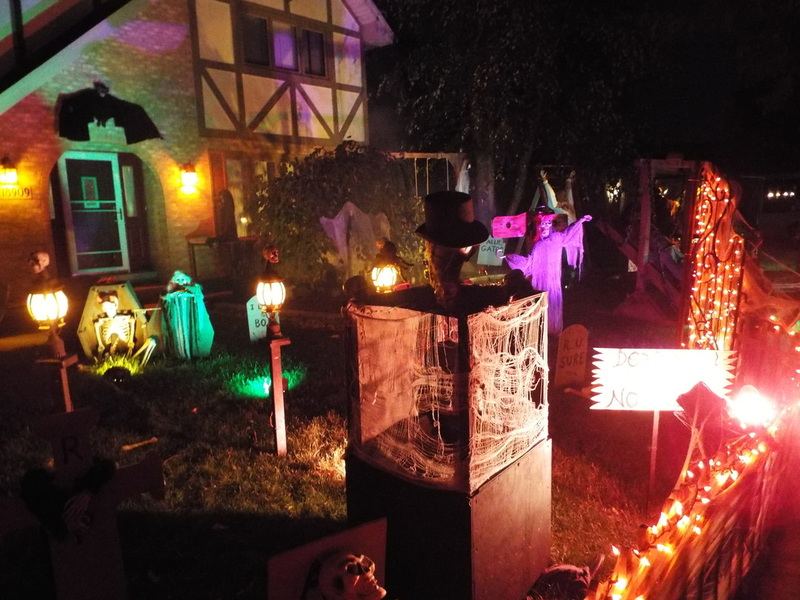 Krohn's House of Terror, along with Fear on Fiona and Grant's Graveyard, is one of a trilogy of yard displays in Mokena that are part of our must see list every year. 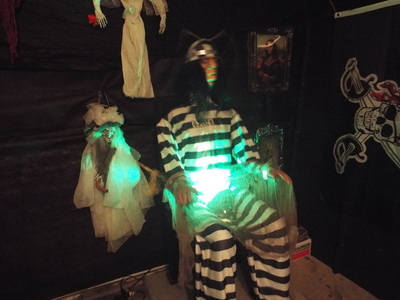 For anyone looking for free Halloween fun, these displays are for you. 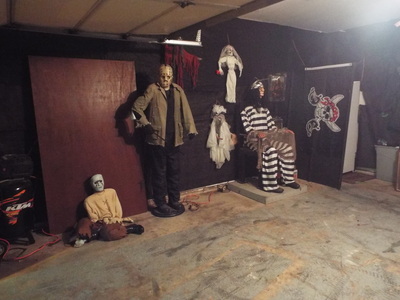 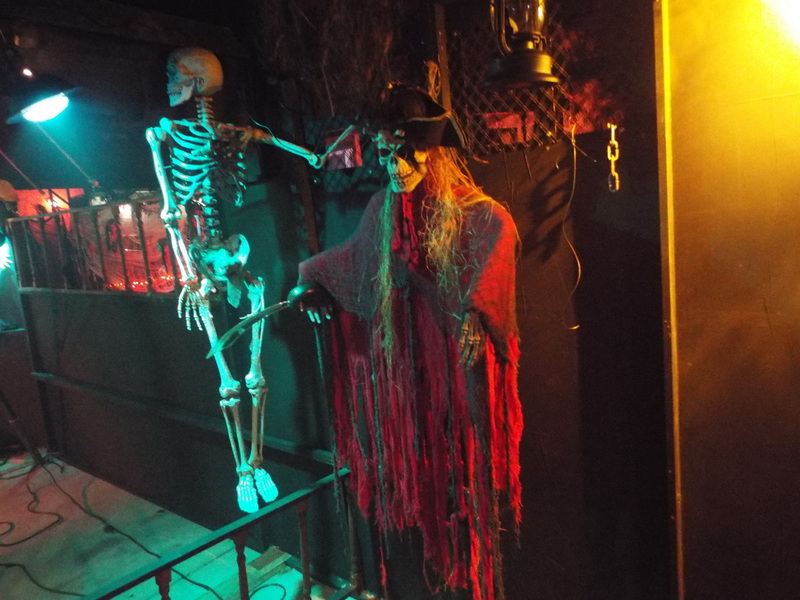 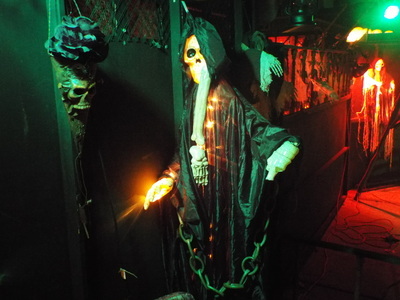 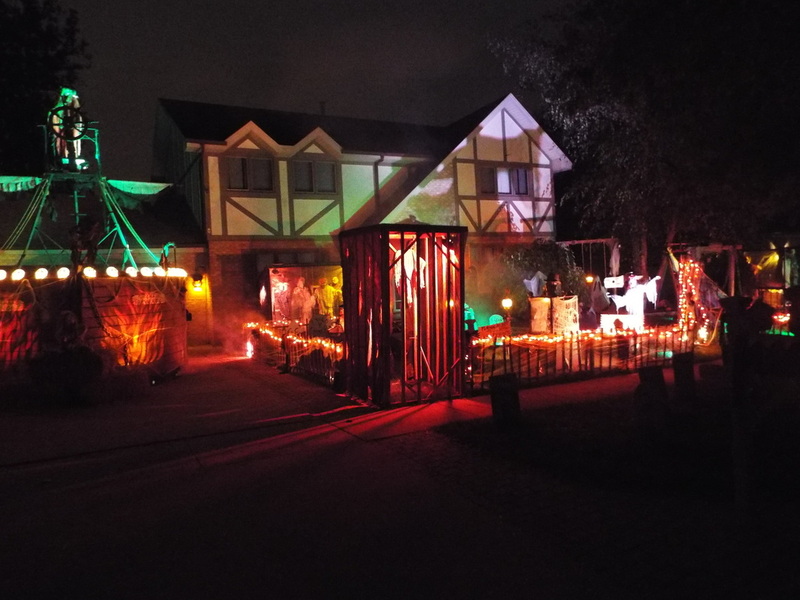 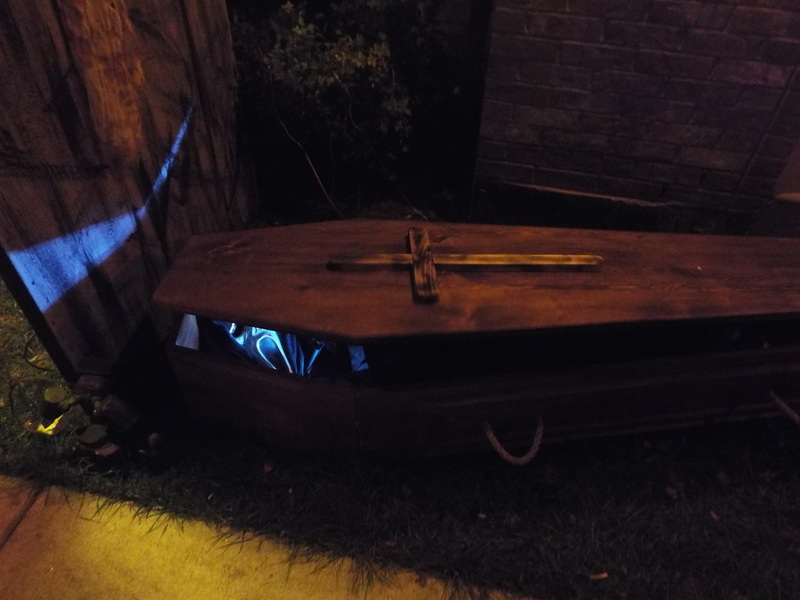 Each offers a large area, many unusual props, and, in the case of Krohn's House of Terror, a giant pirate ship in the driveway - how many haunts can say that? 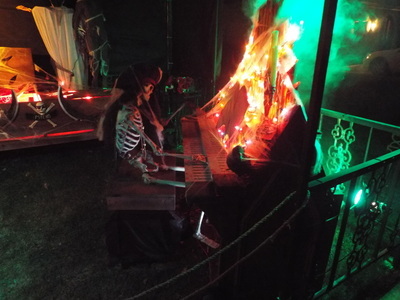 In fact, the giant pirate ship is the defining feature of the Krohn's display, and in recent years has been the front portion of a small walkthrough in the garage. 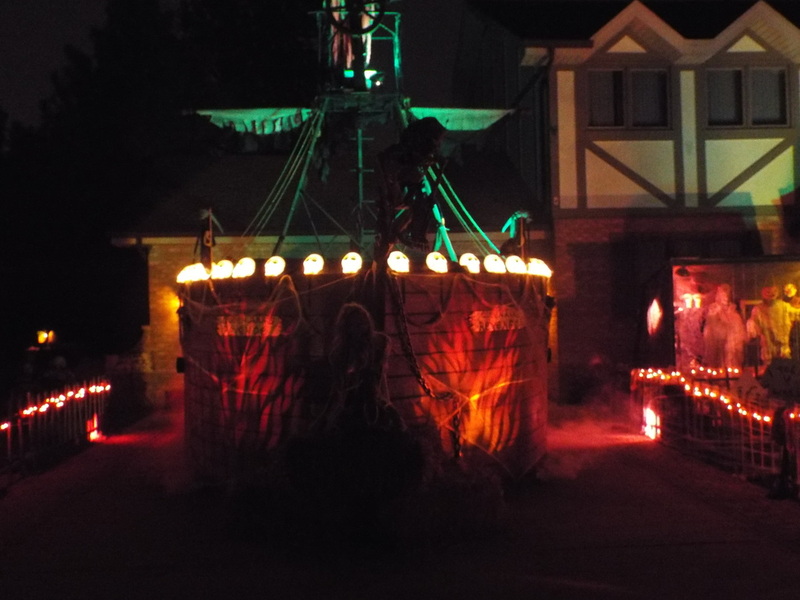 Unfortunately this year there was no garage walkthrough, but the giant ship was still there for all to see. 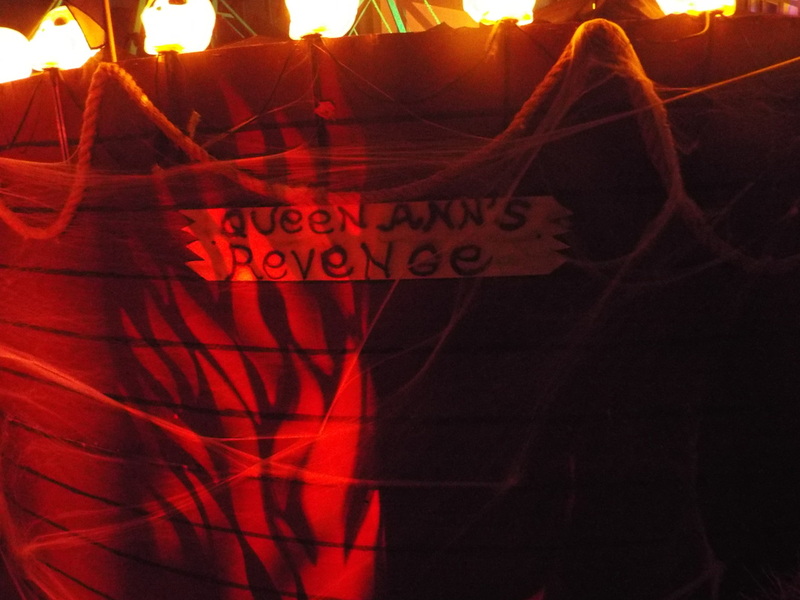 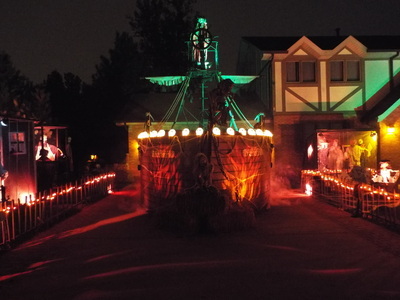 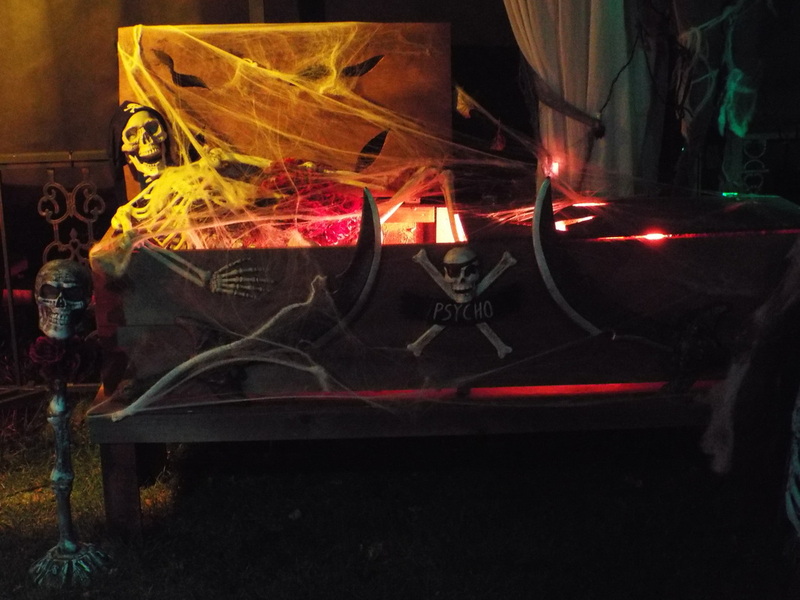 Oddly, when we first heard that there was pirate ship in the haunt's driveway, our first thoughts were of a guy we knew in grammar school who built a giant ark in his driveway, supposedly because he was waiting for another great flood. Fortunately, Krohn's House of Terror is nothing like that, but it is resplendent in pirate themes, from pirates playing smoking pipe organs, to pirates lounging around (as pirates do), to pirates manning the the aforementioned ship. 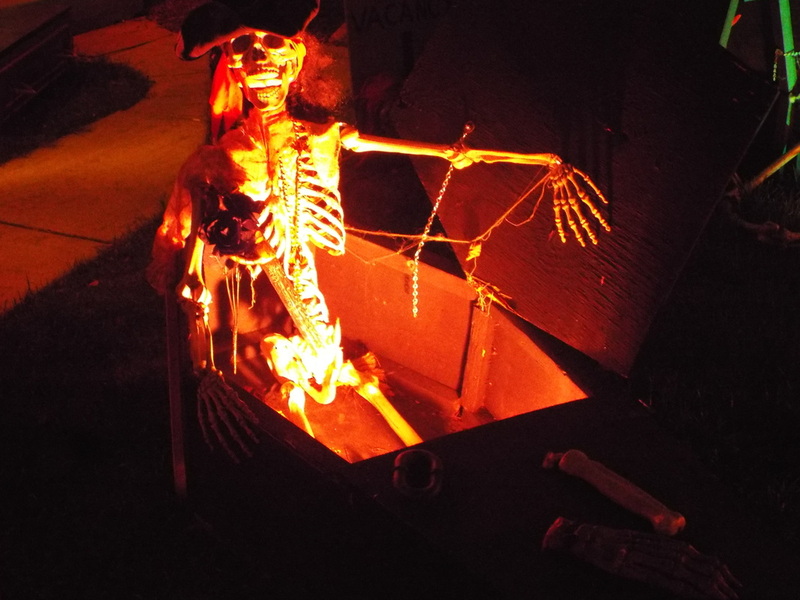 Oh, and all of the pirates are skeletal, naturally. The ship itself is impressive, featuring lights, simulated flames on the front, and even full rigging reaching high into the sky. It's easily seen from the street, and alone makes Krohn's worth a look. 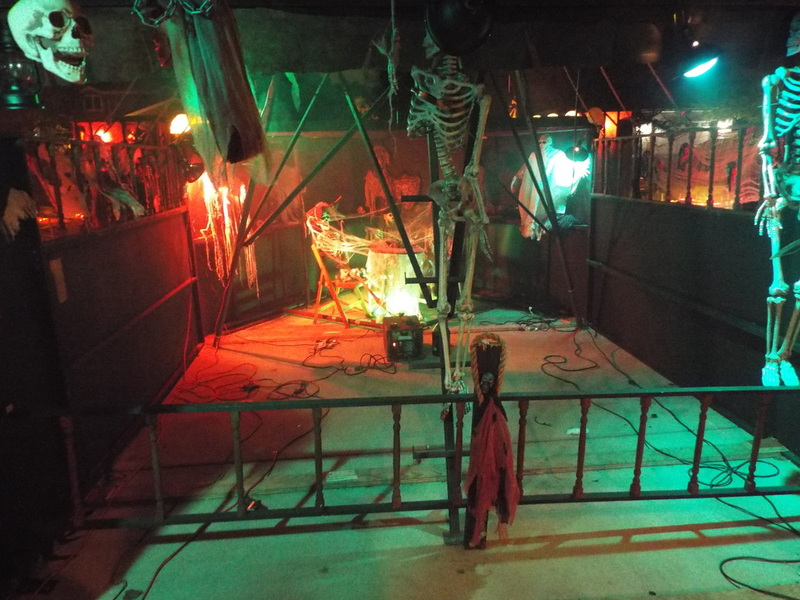 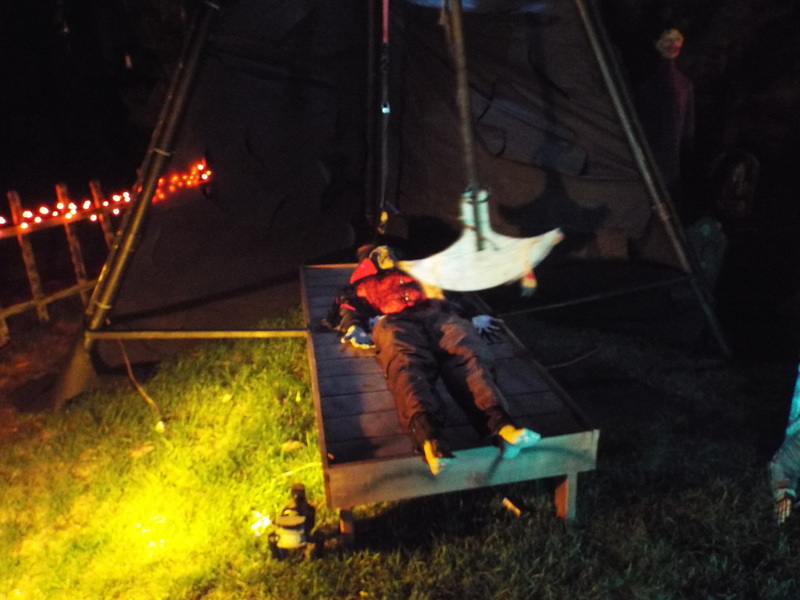 However, there is much more to see, from a giant pendulum swinging above a soon to be victim, to Ghost Face hiding in a moving coffin, to the Frankenstein monster on a flashing, moving platform. 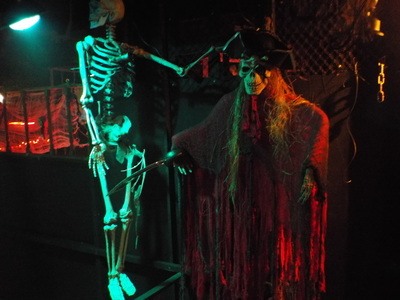 There is a little something for everyone. 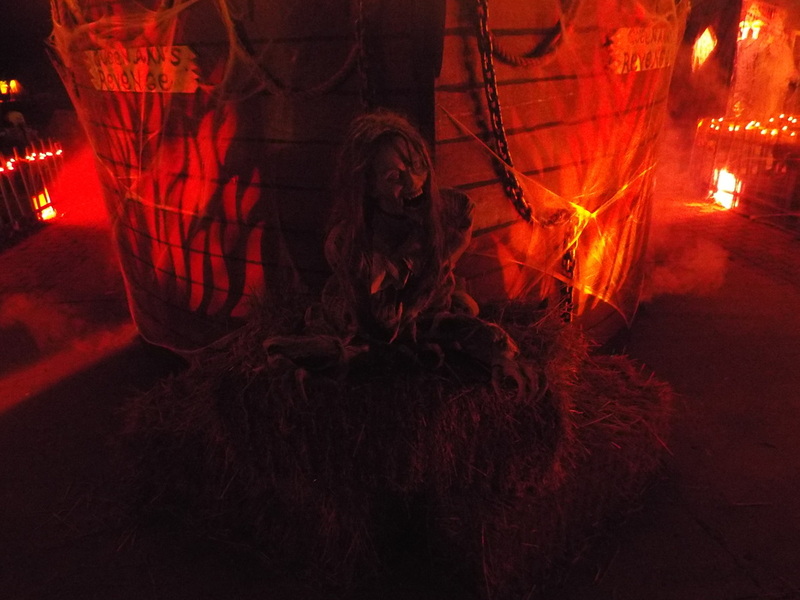 Additionally, on certain evenings, there are live actors prowling around the display, waiting to jump out and scare the unwary. 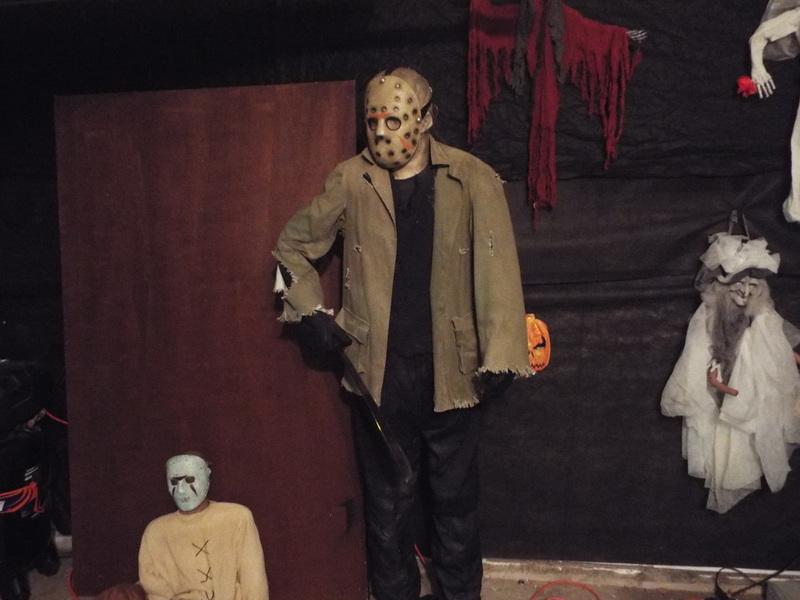 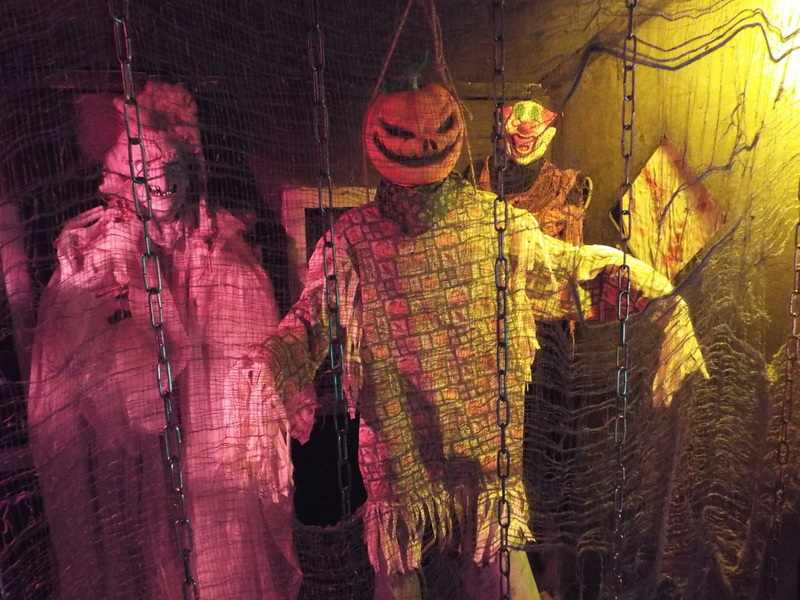 It's fun for the whole family, especially if you want to scare a family member or two - be sure to check it out!